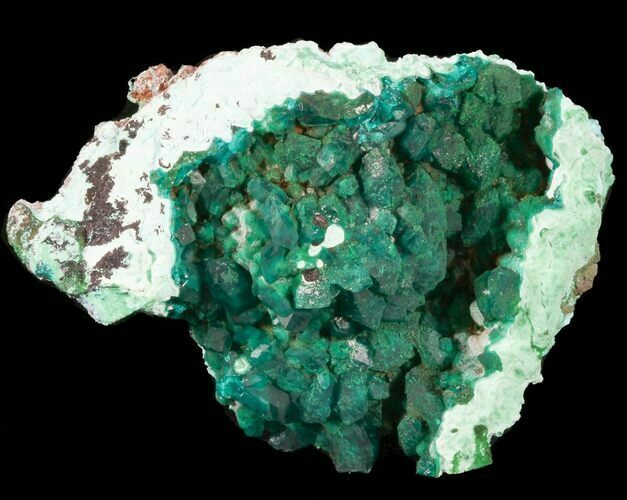 This is a nice specimen of dioptase crystals from the Republic of Congo. 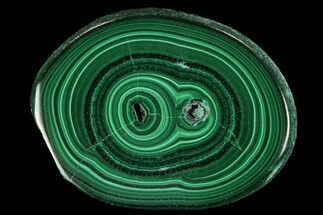 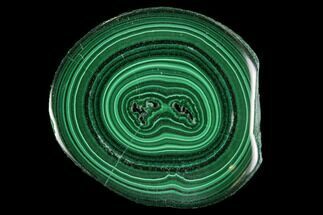 The entire specimen is 2.30" long and the lustrous, rich green crystals get up to about .41" (11mm) long. 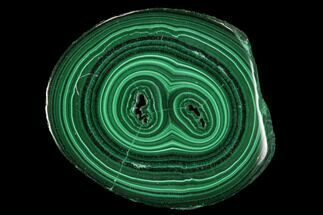 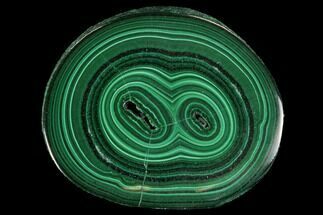 They have a saturated, dark, emerald-green color with both bumpy and well defined crystals, all atop a matrix of blue-green botryoidal plancheite. 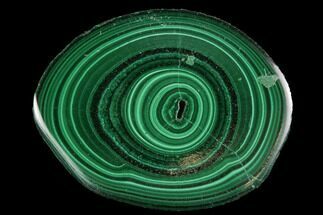 Dioptase is an uncommon mineral found mostly in desert regions where it forms as a secondary mineral in the oxidized zone of copper sulfide mineral deposits. 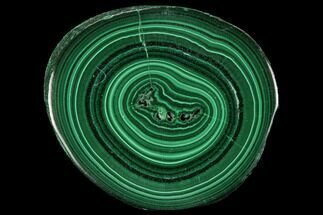 It is popular with mineral collectors due to it's vibrant color and it is occasionally cut into small emerald-like gems.